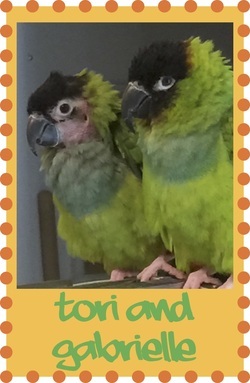 If you would like to give a special gift to a Phoenix Landing foster bird, only some of which are shown here, just click on their photo to see their special request from our store (helpingparrots.com). 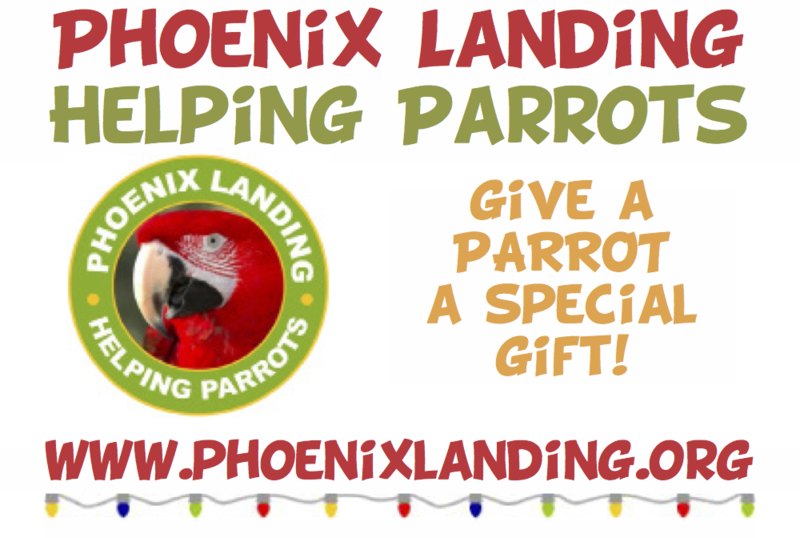 When you check out, please also send a note to phoenixlanding@earthlink.net so we know that your purchase is for the parrot of your choice in this program. All toy donations are tax deductible. 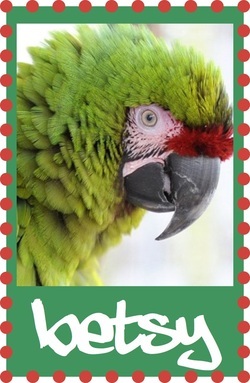 And great thanks for what you do to participate in the many efforts of Phoenix Landing for all birds, large and small. 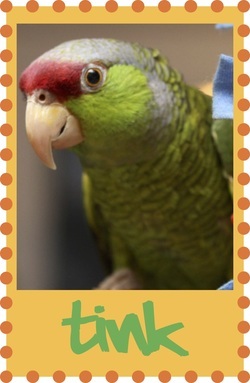 ​All the great birds featured here are adoptable! 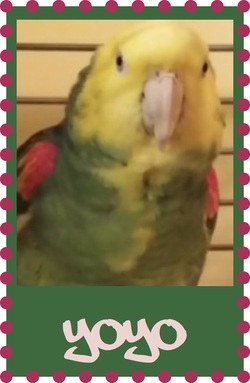 Quaker, 4 months. I'm very young, but ready for fun. Thanks to MARK MILBRATH for my special gift! 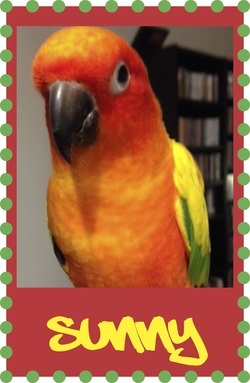 Sun conure, 10. 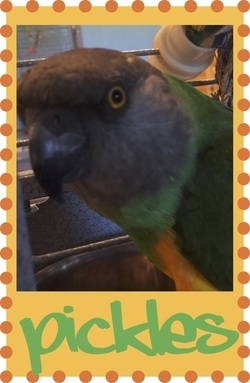 Seems like most sun conures are named Sunny, but we are each unique, just look at me! Thanks to LYN DEUTSCHMAN ​ for my special gift! 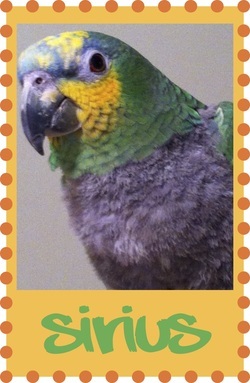 Jenday conure, 8. 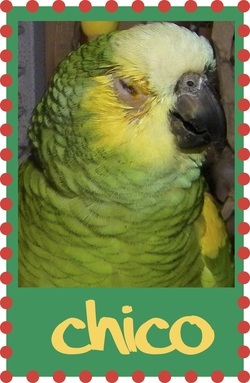 It's been a tough year, but thanks to my foster mom and my friend Sunny, I'm doing much better. Thanks to LYN DEUTSCHMAN ​ for my special gift! 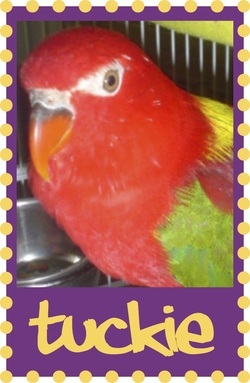 Black capped lory, 12. 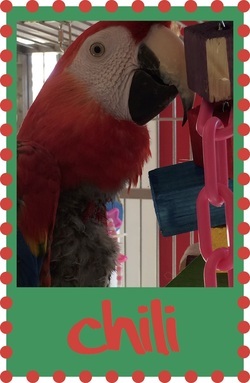 How about a "Funfetti" toy for a fun bird like me! Thanks to SHAUNA COOKE for our special gift! Quaker, 3. More building material, yippee! Thanks to MARK MILBRATH ​ for my special gift! 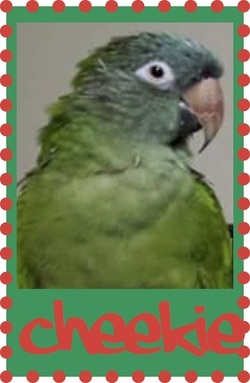 Cockatiel, unknown age. 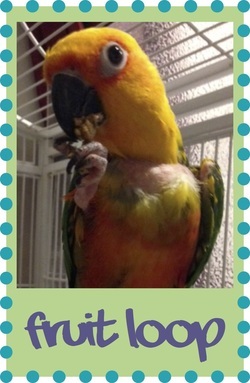 Preen, scritch, and play - such fun! Thanks to LYN DEUTSCHMAN for my special gift! 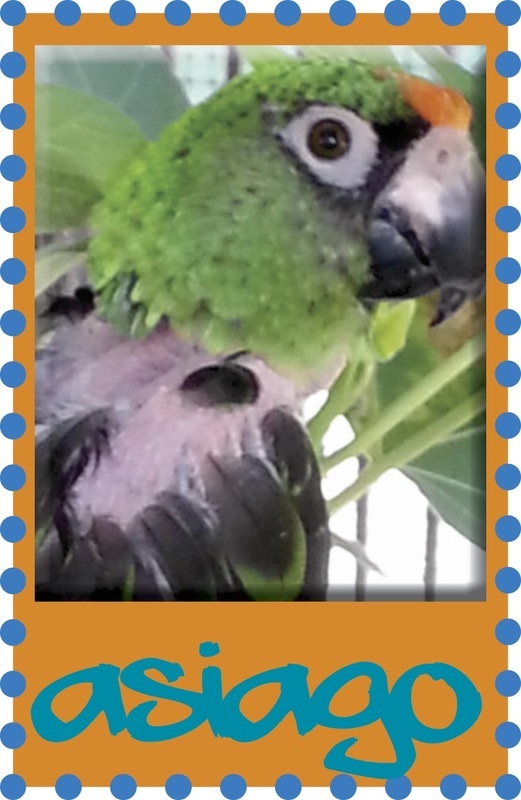 Blue crown conure, 16. I've been wanting some new wood toys to keep my beak busy. Thanks to SUE and JOE MARTIN for my special gift! My foster mom says we don't have enough swings. Thanks to SILVER AND SUNNY THOMPSON for our special gift! 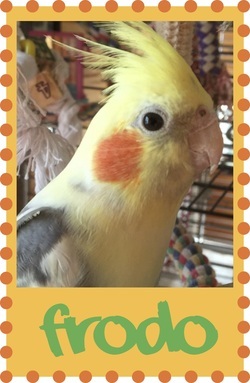 Cockatiel, 10. A perch with a toy on it too, that sounds great. Thanks to PRECIOUS THOMPSON for my special gift! 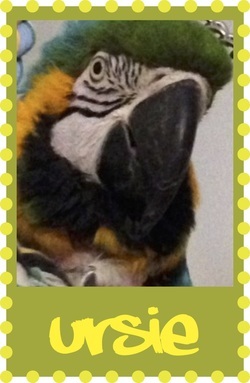 Blue and gold macaw, 18. What?!?! A groovy gizmo toy? YES. Thanks to KATHLEEN and JENNIFER COOKE for my special gift! 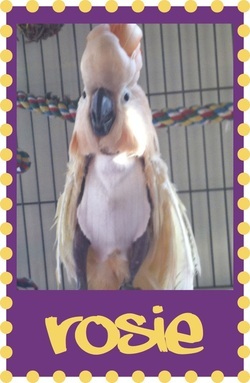 Cockatiel, 12. An upside down basket for a perch? What a terrific idea! Thanks to SAVANNAH THOMPSON for my special gift! Quaker, age unknown. Wood and rope, perfect. Thanks to MARK MILBRATH for our special gift! Senegal 24. So many things to choose from, yay. Thanks to CHRISTINE MAGLIERI for my special gift! 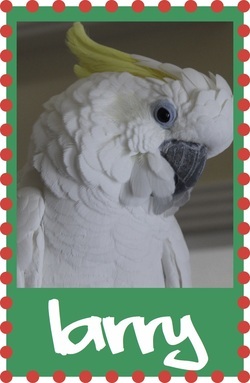 Cockatiel, 5. An orbit swing. 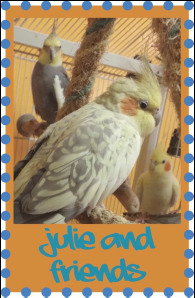 Do I have to share with the other cockatiels? Thanks to CHRISTINE MAGLIERI ​ for my special gift! Double yellow head Amazon, 28. 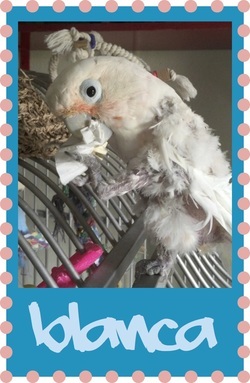 Things to shred and chomp on, woohoo! ​Thanks to MARCIA VAJAY ​ for my special gift! 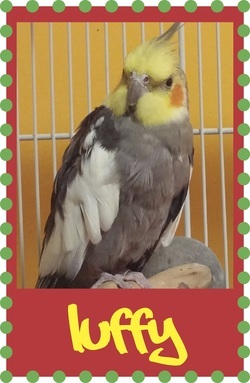 Cockatiel, age unknown. A party forager?? Bring it on! Thanks to CHRISTINE MAGLIERI ​ for my special gift! 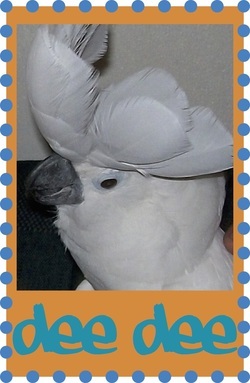 Umbrella cockatoo, 14. I need to stay busy because I'm SO smart. Thanks to CHRISTINE MAGLIERI for my special gift! 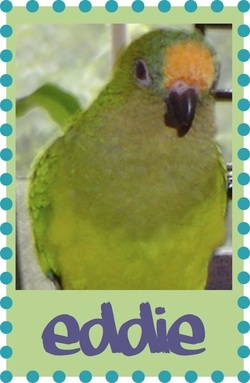 Sun conure, 10. 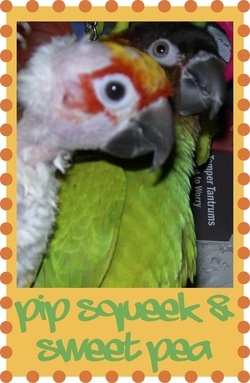 Preen and scritch, sounds extra fun. Thanks to KERRI SUMLINSKI and ABE GREENBURG for my special gifts! 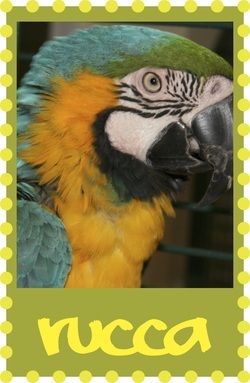 Blue and Gold Macaw, 15. A bird can never have too many perches, of all sizes and materials. Thanks to CHRISTINE MAGLIERI ​ for my special gift! 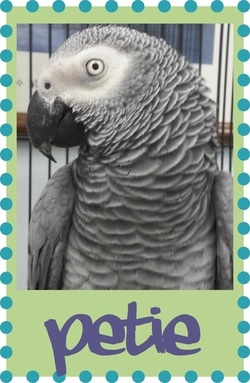 Congo African Grey, age unknown. Wood slats, yippee! Thanks to KERRI SUMLINSKI for my special gift! 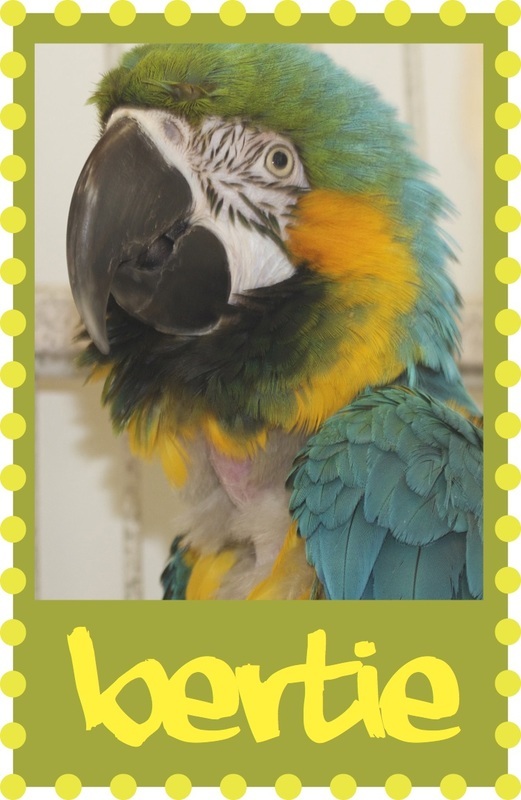 Blue and Gold Macaw, 24. The biggest wood toy for me please! Thanks to DEBRA DUBOIS ​and MARCIA VAJAY for my special gifts! 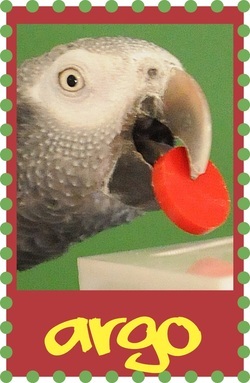 Congo African Grey, 24. 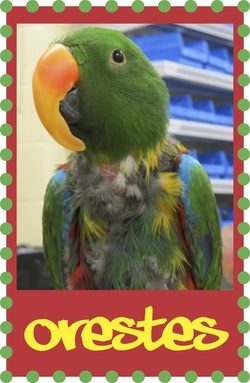 The 2,500th bird to enter our adoption program! This wood toy looks just right for me. Thanks to KERRI SUMLINSKI and LYNNETTE SWANSON for my special gifts! 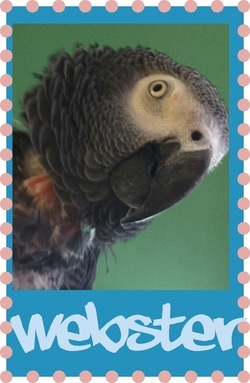 Timneh African Grey, 25+. Wild Caught. Thanks to MIKE and LINDA FABRIE for my special swing with bells! I love bells, and there are never enough. Plastic is my favorite. Thanks to PAMELA THOMPSON and MARCIA VAJAY for my special gifts! 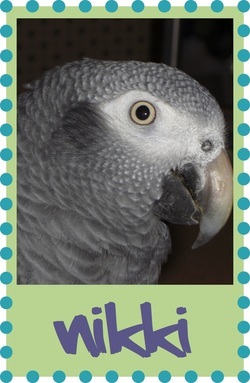 Timneh African Grey, 25+. Bagels and wood toy, that should be entertaining. Thanks to LYNNETTE SWANSON and MARCIA VAJAY for my special gifts! Thanks to KERRI SUMLINSKI for my special gift! 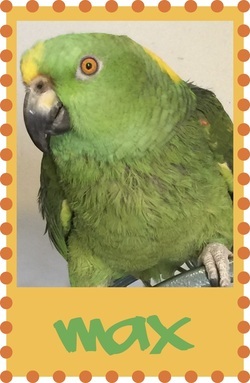 Blue Front Amazon, age unknown. I like the looks of this one! Thanks to DONNA CARR, KATHERINE NETTROUR and ALAN BROWN for my special gifts! 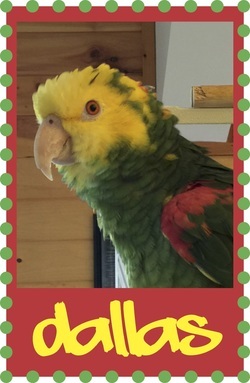 Yellow-backed Lory, 24. Shreddable is great. Thanks to PATTY GRAY for my special gift! Jardines, 11. This toy looks fun! Thanks to JEAN FEAKES, KATHERINE NETTROUR and TERRIE BOUCHARD for my special gifts! 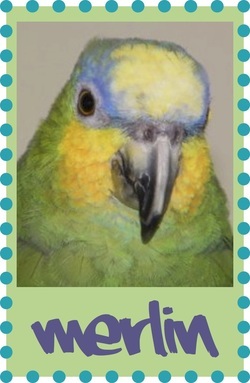 Blue Crowned Conure, 13. Is this a Rubik's cube for birds? Thanks to LYNNE LATHAM for my special gift! 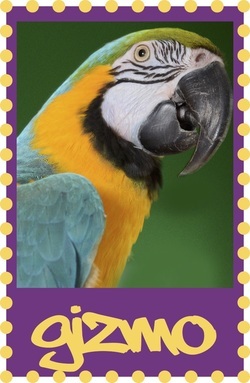 Blue and Gold Macaw, 19. I'm just learning to play, this might help. Thanks to DENISE CROSSON and BOBBIE KERNS for my special gifts! Military Macaw, age unknown. 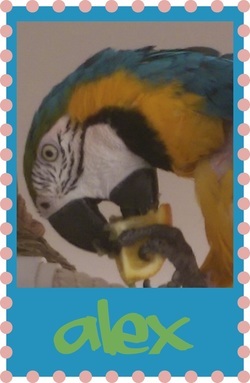 Wood for my beautiful beak, please. Thanks to CELESTE DAY for my special gift! 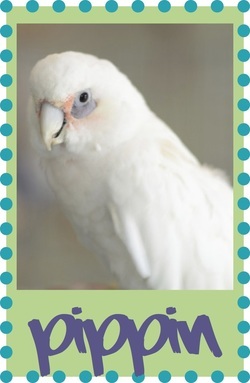 Goffins Cockatoo, 23+. Sea grass mats are the best! Thanks to SHARON ANDRESEN and TERRI BOUCHARD for my special gifts! 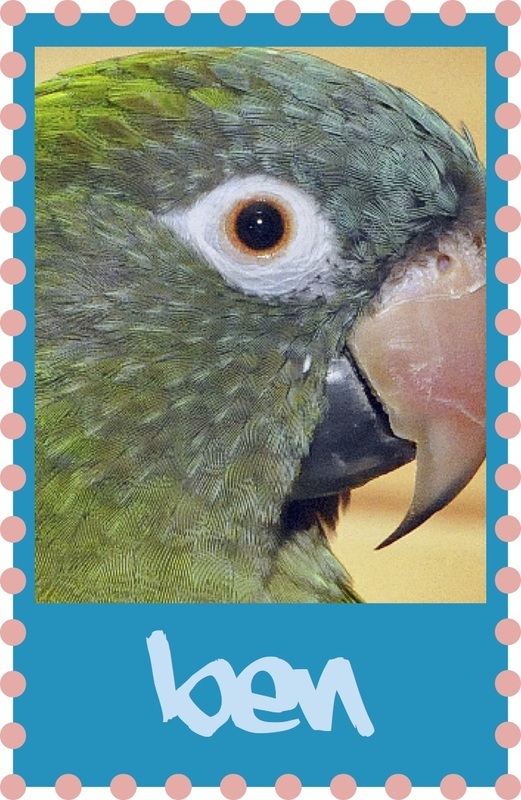 Blue Crowned Conure, 4. There can never be too much bouncing. Thanks to LYNNE LATHAM, JEAN FEAKES and ABE GREENBURG for my special gift! 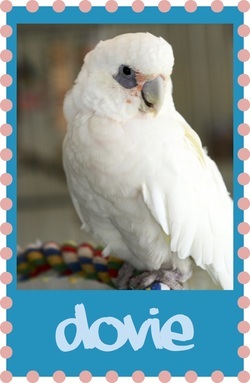 Citron Cockatoo, 25. There is never enough wood for me, but I would enjoy some plastic too. Thanks to MIKE and LINDA FABRIE for my special gift! Wild Caught. Had recent surgery to remove his eye. Some additional wood toyas would be so cool. Thanks to SHARON ANDRESEN, KATHERINE NETTROUR, AUDREY RUSSIN, TERRI BOUCHARD and ALAN BROWN for my special gifts! Scarlet macaw, age unknown. A pinata is just what I need! Thanks to LYNNE LATHAM for my special gift! ​I've almost finished my first toy, I am a very good girl! So now I'm ready for wood, lots of wood. 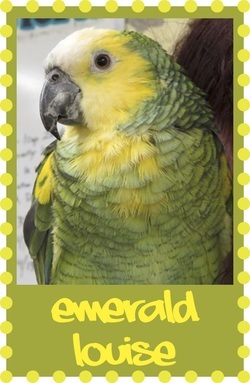 Double yellow headed Amazon, 25+. This should keep me busy for awhile. Thanks to an ANONYMOUS donor for my special gift! ​Wild Caught. I like to forage just as we do in the wild. Thanks to KATHERINE and BRENT NETTROUR for my special gift! 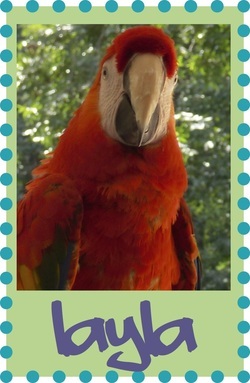 Greenwing Macaw, 17. Eating walnuts should take some effort. Thanks to PAMELA THOMPSON for my special gift! Senegal, 14. Every bird needs a shelf. Thanks to MIKE and LINDA FABRIE, JEAN FEAKES and KATHLEEN COOKE for my special gift! 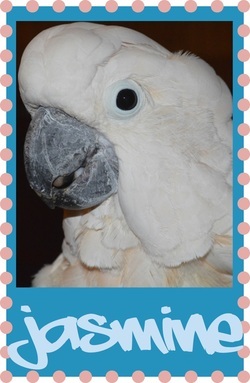 Bare-eyed Cockatoo, 14. Cockatoos can never have enough foraging. Thanks to LYNNETTE SWANSON and MARCIA VAJAY for my special gifts! 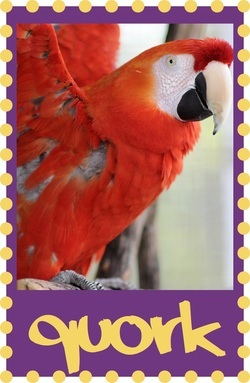 Congro African Grey, 6. 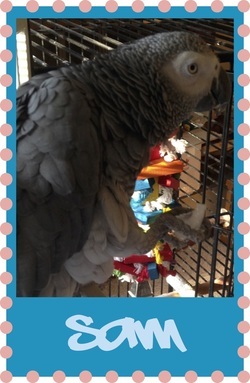 Preen and skritch toy, I could use the diversion! Thanks to AMANDA FALLON, THERESA BLANER and PAMELA THOMPSON for my special gifts! Now I'm thinking wood might be good? 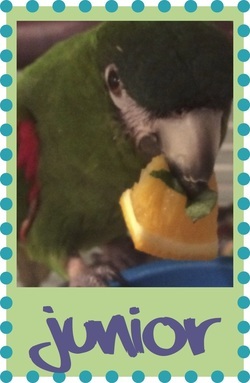 These wood toys with ridges are great for my beak. Thanks to DEBRA DUBOIS for my special gift! Please please please - I need lots of wood. Thanks to BARBARA SHUMAN for my special gift!! 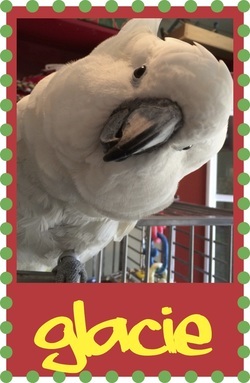 Moluccan Cockatoo, 12. I definitely "stir it up" just like this toy's name. Thanks to DENISE CROSSON and SANDY WHITMORE for my special gift! 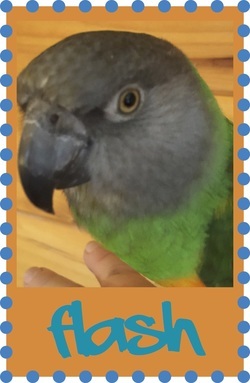 Blue Front Amazon, age unknown. Wild Caught. This bucket will help me forage and exercise. Thanks to JENNIFER BALDWIN for my special gift! ​Lots of choices in this basket. Thanks to AMANDA FALLON and JEAN FEAKES for my special gifts! Sulphur Crested Cockatoo, 10. This foraging toy looks fun! Thanks to PAMELA THOMPSON for my special gift! Maybe someone would give me a wood toy too?? 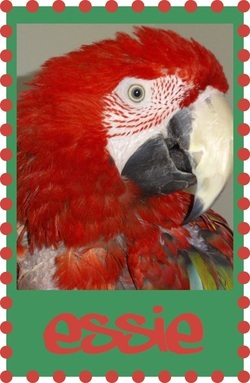 Scarlet Macaw, 11. My buddy Gizmo usually steals all my toys, so I want this one just for me. Thanks to DEBRA DUBOIS ​ for my special gift! Yellow Nape Amazon, 21. A perch that is also a shelf, wow. Thanks to KATHERINE and BRENT NETTROUR for my special gift! What an awesome perch! Thanks to CELESTE DAY, THERESA BLANER, TERRIE BOUCHARD and MICHELLE UNDERHILL for my special gifts! Now I'm wondering if a seagrass mat toy might be possible? Orange Wing Amazon, age unknown. Wild caught. More wood for me, please. Thanks to KATHERINE and BRENT NETTROUR for my special gift! I can have fun with this. Thanks to MIKE and LINDA FABRIE for my special gift! 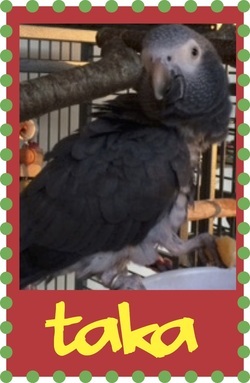 Timneh African Grey, 35+. Wild Caught. Something to shred, Yay! Thanks to SAM, KATHY and JIM EISON for my special gift! 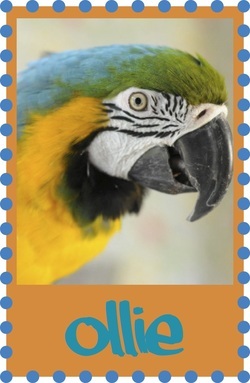 Blue and Gold Macaw, 8. Wood, wood and more wood, is there ever enough? Thanks to BARBARA SHUMAN for my special gift! 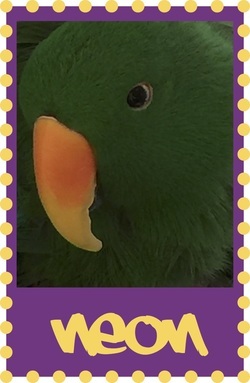 Eclectus, age unknown. This comes on skewer, so you can refill it for me over and over! Thanks to KATHERINE and BRENT NETTROUR for my special gift! 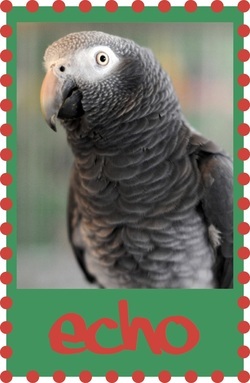 Congo African Grey, 18. Something new and different. Thanks to DENISE CROSSON for my special gift! Senegal, 3. This looks like fun, just like me. Thanks to BARBARA WASSELL for my special gift! ​14 and 18. Wood, bagels AND rope - yum. Thanks to MIKE and LINDA FABRIE, SHARON ANDRESEN, TERRI BOUCHARD and LYN DEUTSCHMAN for my special gifts! Our next request is more shreddable. 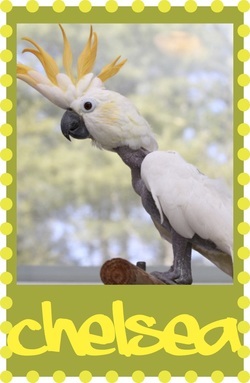 Cockatiel, 4. I am urgently in need of more Avicakes, my favorite! Thanks to DENISE CROSSON, LAURA CREASY, SHARON ANDRESEN and DONNA CARR for my special gifts! Scarlet Macaw, age unknown If this is Phoenix's favorite toy, then it's mine too. Thanks to BARBARA SHUMAN for my special gift! 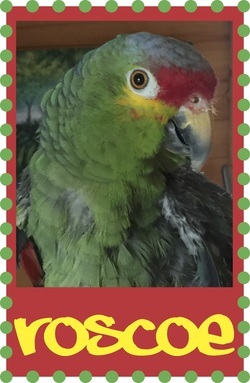 Red Lored Amazon, age unknown. Cardboard toys? I want one! Thanks to JANET HORNBERGER and KATHERINE NETTROUR for my special gift! Wild Caught. Shredders help distract me, there can never be enough of those. Thanks to SHARON ANDRESEN and MARCIA VAJAY for my special gifts! Blue and Gold Macaw, age unknown. I should forage for my walnuts. Thanks to ELLEN RENN for my special gift! 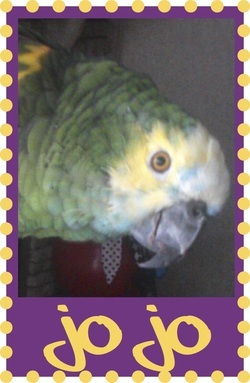 Congo African Grey, 23. Something fun and to hide behind, perfect. Thanks to BARBARA WASSELL and KATHERINE NETTROUR ​​for my special gifts! Orange Wing Amazon. Refillable skewer toy, the best! Thanks to MIKE and LINDA FABRIE for my special gift! 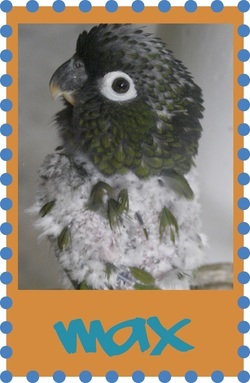 Nanday Conures, ages unknown. This is our favorite! Thanks to PAMELA THOMPSON and LYN DEUTSCHMAN for my special gift! Shreddable, can't get enough of that. Thanks to PAMELA THOMPSON for my special gift! Blue and Gold Macaw, 18. More wood please. Thanks to AMANDA FALLON, DONNA CARR and TERRI BOUCHARD for my special gifts! ​I like to stay busy! Thanks to BARBARA WASSELL, MARCIA VAJAY and LYN DEUTSCHMAN for my special gift!